The college aspires to involve all academic departments in the Encounters program, which all first-year students and transfer students with fewer than 58 academic credits go through in their inaugural year at Whitman. Like other departments with a small faculty, the theatre department had found it difficult to commit a professor to teaching the course. 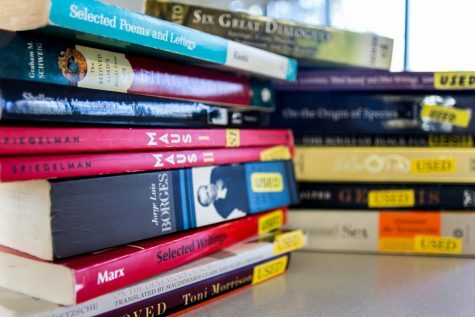 The collaboration to perform one of the texts allows the department to contribute to the Encounters program, reach all first-year students and add a unique perspective to the course. Though the changing needs of both HJT and Encounters make it difficult to plan far into the future, the program has been well-received and will continue for at least one more year. “It puts the theater at the center of the discourse on campus,” said Associate Professor of Theatre and Garrett Fellow Christopher Petit. Both performances have been widely popular with faculty and students. Professor of Politics and Paul Chair of Political Science Paul Apostolidis, who served as director of Encounters during the first year of collaboration, attributes part of this success to the numerous elements of the performance not present in the text. “It’s a question of how the aesthetics of the play interact: the sound, the lighting, the way the characters look on stage and interact in motion physically with each other. 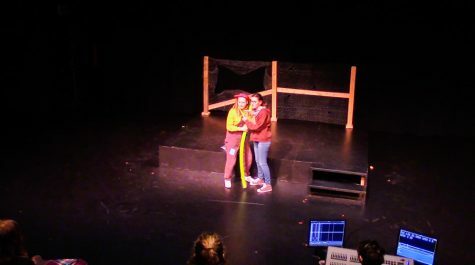 You can imagine other alternatives [of how to perform the play] in the abstract when you read the text, but it gives you so much more to talk about when students have been to the production together and seen it,” said Apostolidis. The Encounters syllabus is usually reviewed every three years and either revised or replaced. The latest incarnation, Encounters: Transformations, was headed by Associate Professor of English Gaurav Majumdar, who is currently serving the first year in a two-year term as director of Encounters. The Transformations syllabus was first used last year. Although the live performance of “The Tempest” and now “Hamlet” were not initially designed as part of the syllabus, Majumdar is glad the collaboration was added. To provide new material for HJT, the Encounters syllabus was slightly revised this year, removing “The Tempest” and Aimé Césaire’s “A Tempest” and replacing them with “Hamlet” and Tom Stoppard’s “Rosencrantz and Guildenstern are Dead.” Stoppard’s play will be performed next year. The choice of new texts, which must occur at least every other year as long as the collaboration takes place, must take into account both the themes of Encounters and the production and casting needs of HJT. “You can’t do ‘Hamlet’ anytime you want to do ‘Hamlet.’ You can only do ‘Hamlet’ when you have the right people [as actors],” said Petit. Because the students available to fill different roles change every year, decisions about future texts cannot be made far in advance. However, as the program has so far been successful, it will likely continue as long as collaboration between the two departments of the college remains possible. “[The question was,] how can we [collaborate] in a way that completely supports the integrity of the Encounters program and the integrity of the Harper Joy enterprise as well? And I think we got there, and I would love to see it continue,” said Apostolidis.